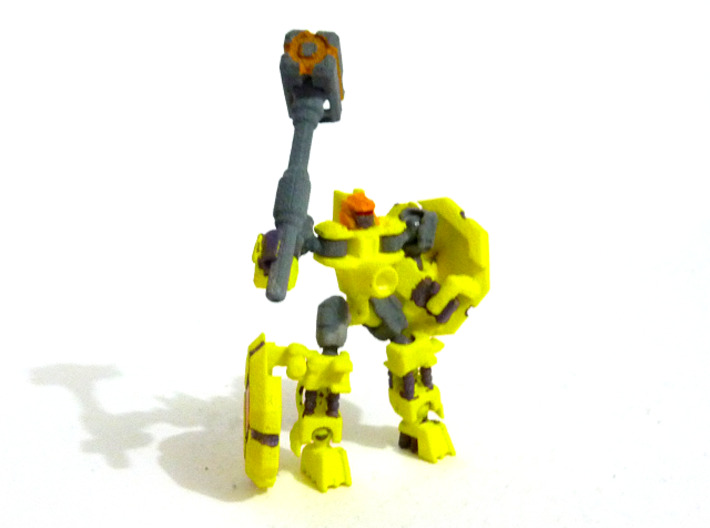 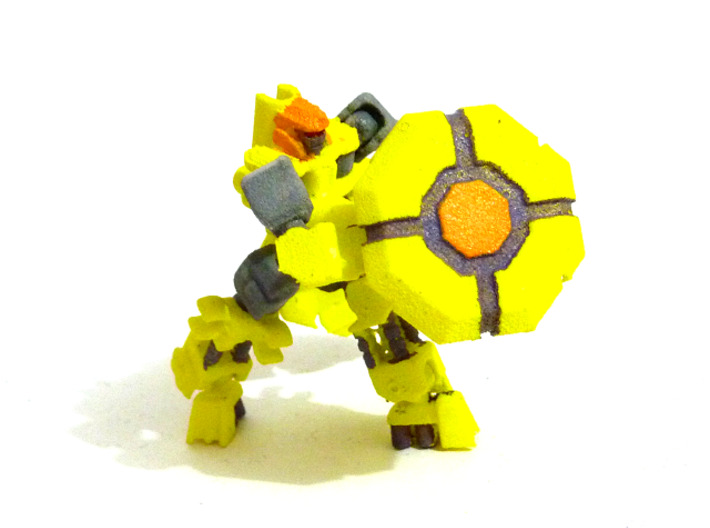 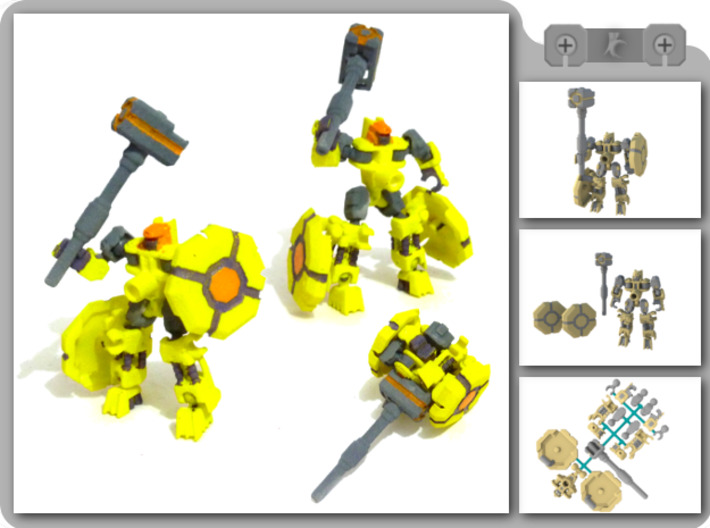 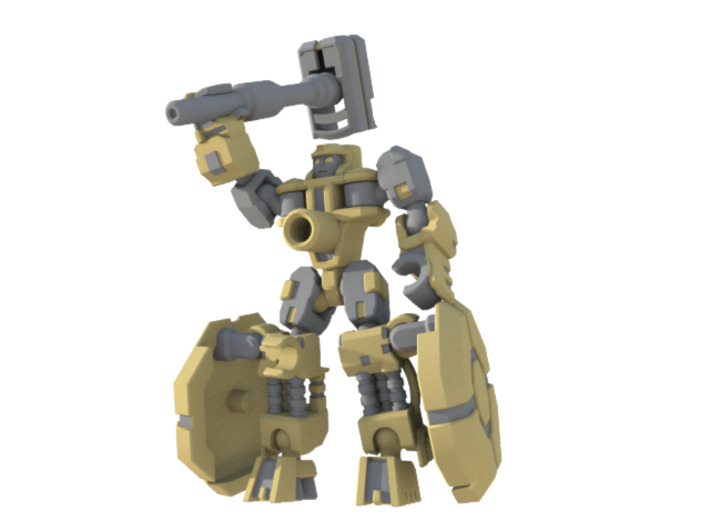 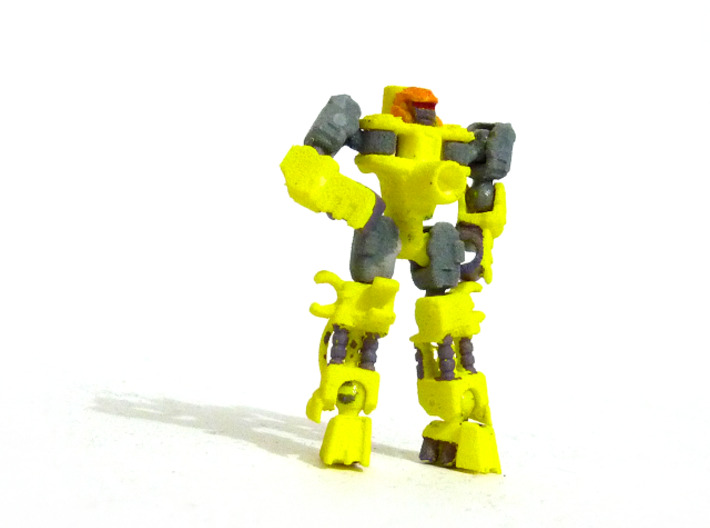 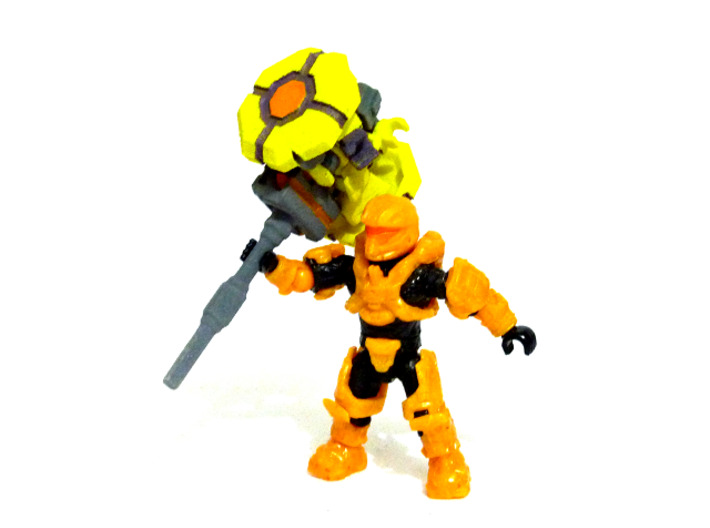 44mm tall Robot buddy with 3mm-compatible hands. 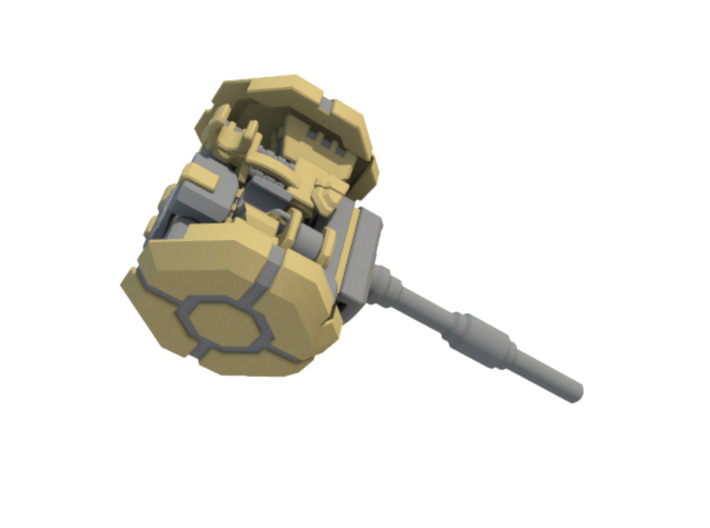 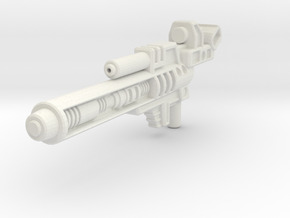 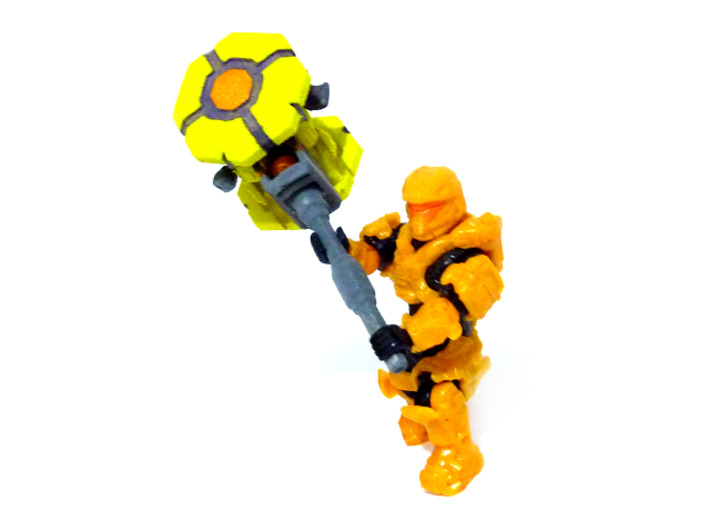 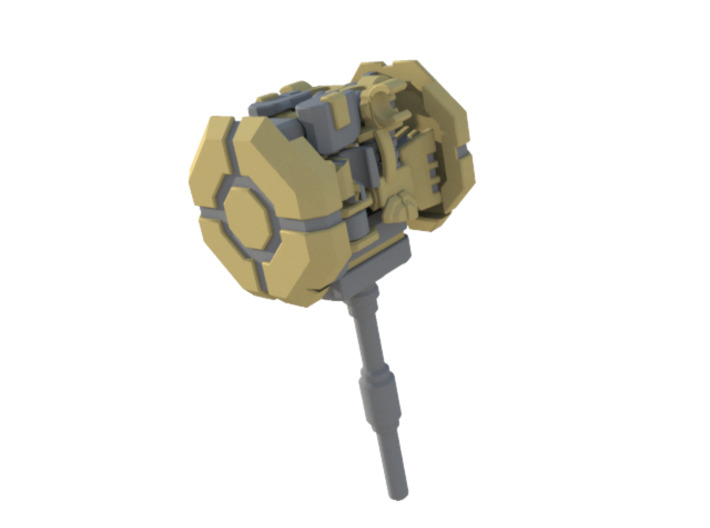 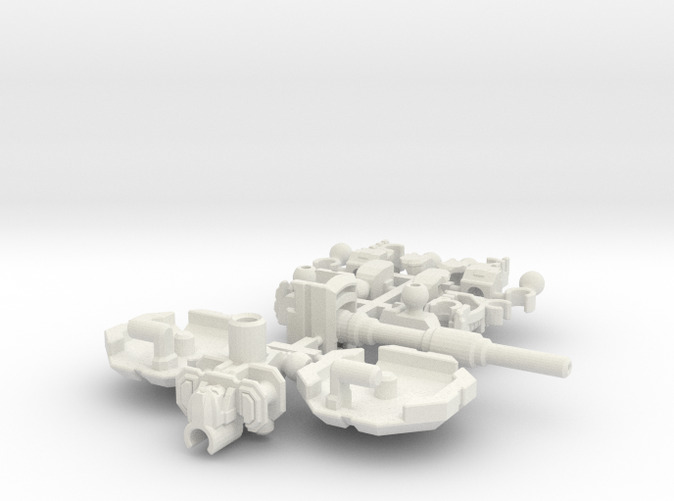 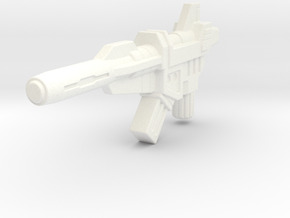 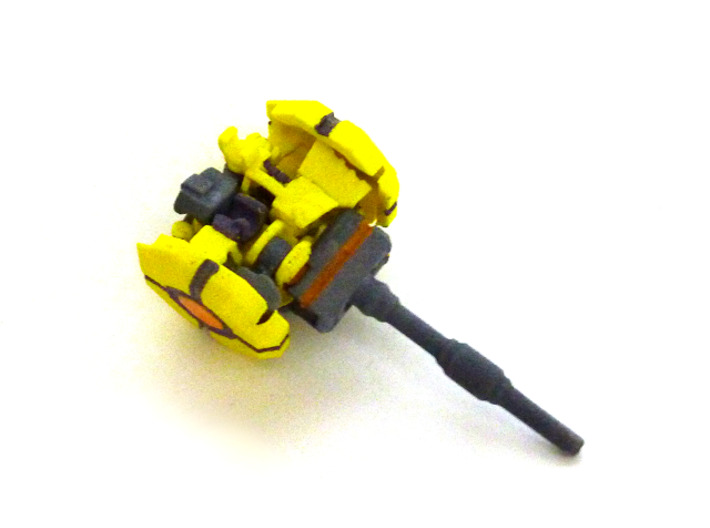 Includes 3mm-compatible weapons: 2x Shields + 1x Hammer. 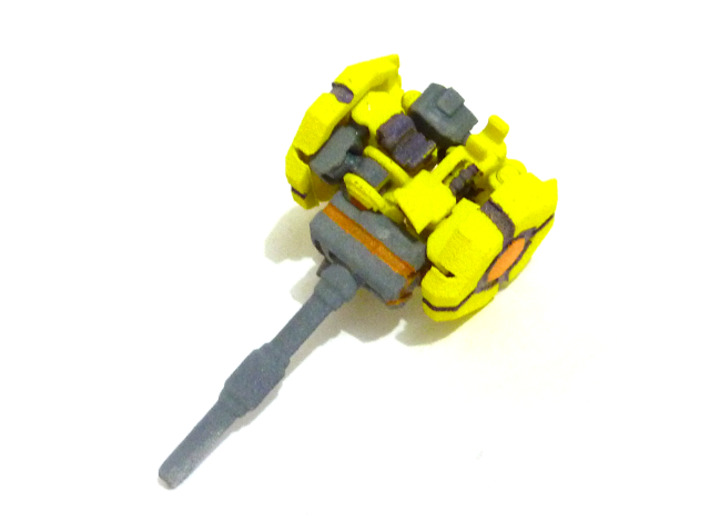 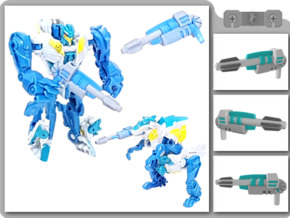 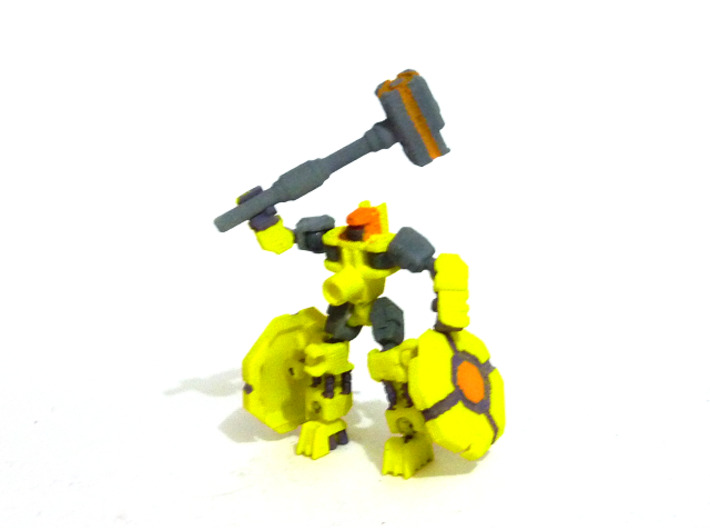 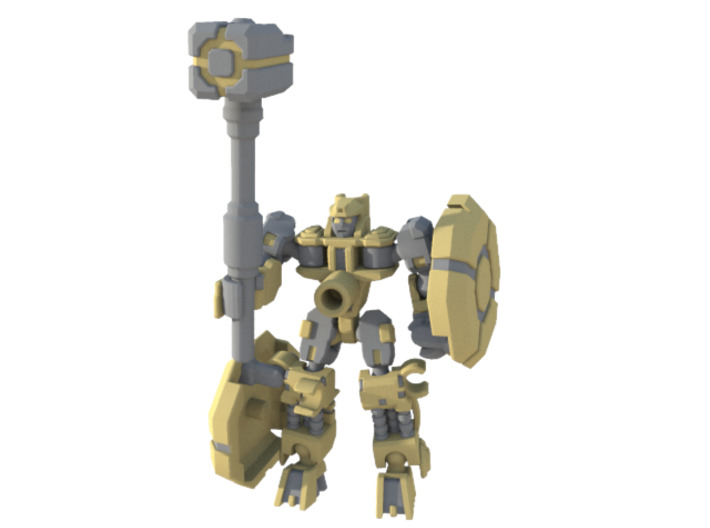 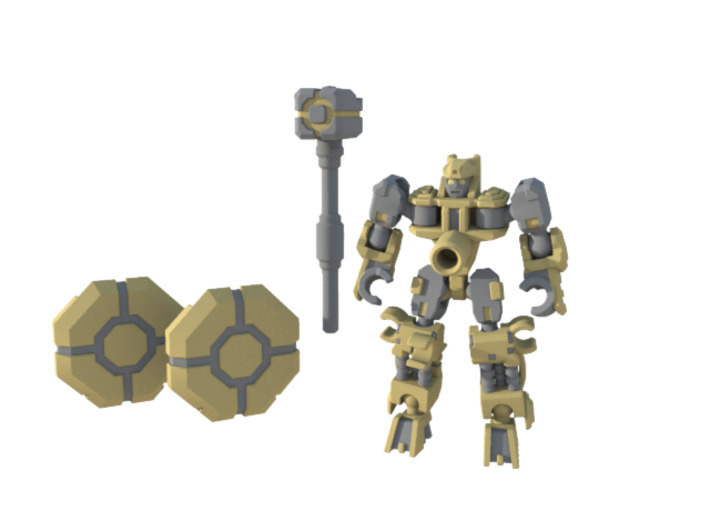 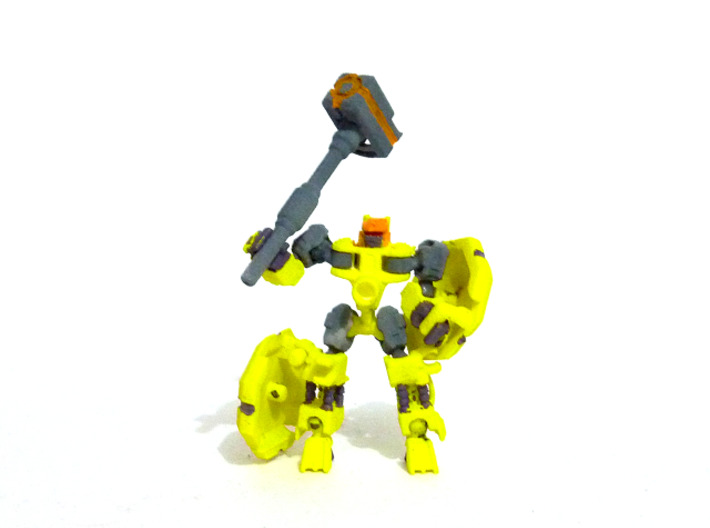 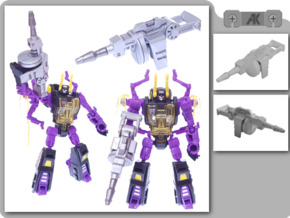 Transforms into a 5mm-compatible Hammer Mode.